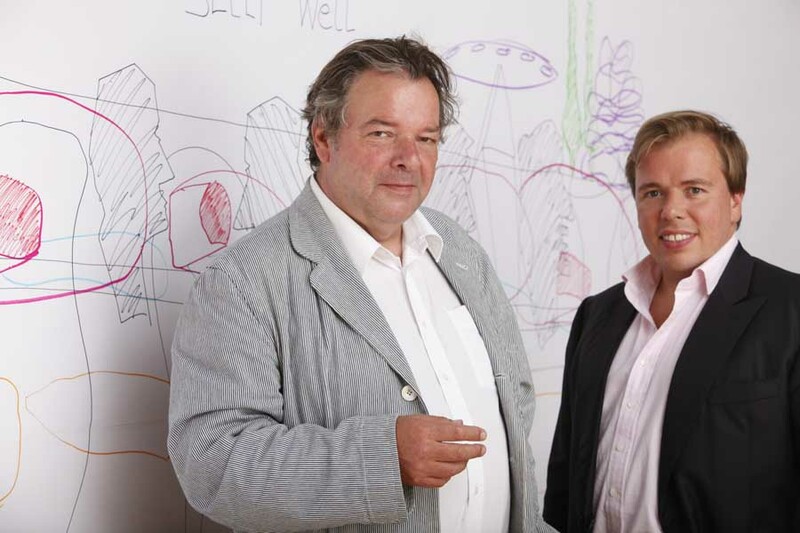 Will Alsop and Scott Lawrie are to leave international architectural practice RMJM to form their own practice. The new company will retain some of the RMJM staff and will continue to be based in Battersea, London. The new practice will be formed around a design studio concept embracing architecture, masterplanning interiors, landscape, product and graphic design. An important part of the concept is Testbed, a performance space within the Battersea studio complex which provides a platform for events and debates, and which forms the hub of a creative design-led community. Scott Lawrie said “It became apparent that our vision of an inter-disciplinary design studio functioning as the hub of an experimental creative community was not a priority for RMJM. This move gives us the freedom to transform our vision into reality and I am delighted to announce that we are being supported by a group of senior businessmen in the creative industries. Not only does this give us a secure financial base but the group are fully involved with our objectives and will give our new practice access to emerging technologies and new skills”. 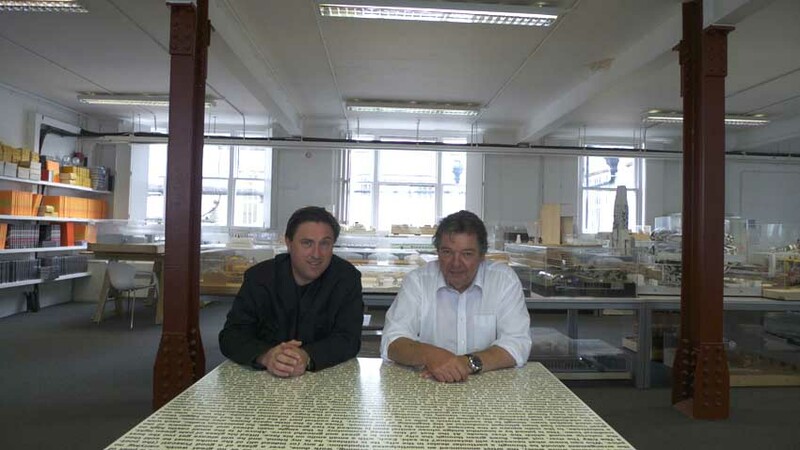 Will Alsop said “There has been much to enjoy at RMJM and their people are of the highest quality. The culture at RMJM has given us a free rein to produce an extremely high standard of work but Scott and I feel the time is right to develop our own studio. But we are also looking forward to maintaining a relationship with RMJM and working together in the future. The new practice with Scott will focus on integrating art, architecture and design. It is where I have been heading for 35 years and it feels very exciting. We are going to be inclusive and work with our neighbours, other practices, all kinds of creative minds and technical innovators, and with different clients all over the world. We have a number of project opportunities in the pipeline”. RMJM chief executive Peter Morrison said: “We have been in discussion with Will and Scott for some time and all parties feel that this is the best way forward. Will and Scott have played an important role internationally for the firm and are undoubtedly architects with enormous talent and an excellent reputation. Will Alsop OBE, one of Britain’s most renowned architects and winner of the coveted Stirling Prize, has announced he is to create a studio called ‘Will Alsop at RMJM’, as part of the RMJM worldwide architectural firm. Alsop’s appointment completes the recent management reorganisation at RMJM’s base in London, where he will take pole position, aimed at creating a flagship office within the RMJM global network. Winner of the Stirling Prize in 2000 for the Peckham Library in London, Alsop has worked extensively across the UK and internationally with major projects in Toronto, Marseille, Hamburg and New York. Recent projects in the UK include the affectionately nicknamed ‘Chips’ building in Manchester, The Public in West Bromwich and a luxury hotel development on the banks of the River Thames. Famed for his bold and colourful approach to design, Alsop sold his own practice in early 2006 to the SMC Group (now Archial) in order to devote his time to designing. 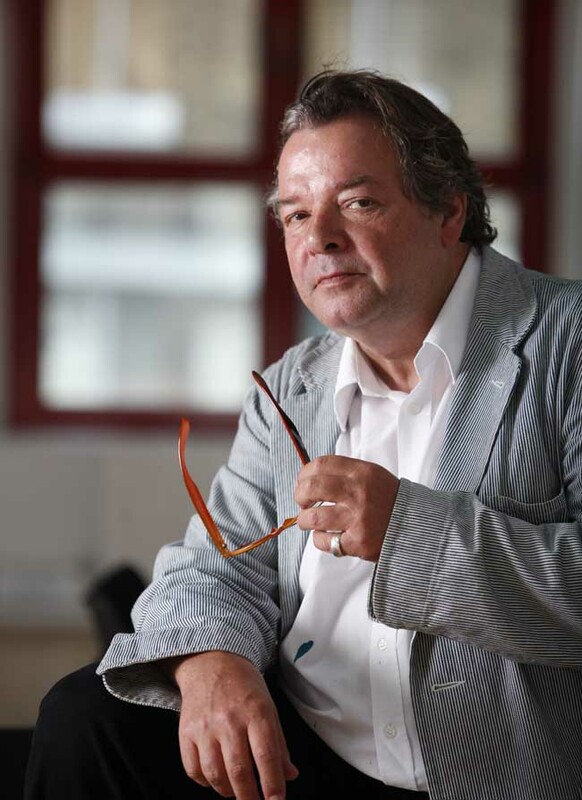 In his new role at RMJM, his energies will be very much focused on building a world class global design studio – to be called ‘Will Alsop at RMJM’ – which further enhances and develops RMJM’s reputation in the UK and abroad. Alsop will be supported in his new design role by a recently appointed management team. In July, Miriam White, previously of Rafael Viñoly Architects and Foster + Partners, joined the studio as Operations Director and Scott Lawrie, who has held senior positions at PRP Architects, John McAslan and Partners and Foster + Partners, joined the team as Principal. Alsop said of his new role: “Over recent years, I have come to admire RMJM’s vision and the way it has embraced the current economic climate by expanding into new and emerging markets and strengthening its offering through the creation of global studios comprising dedicated experts in key growth sectors. RMJM has been expanding into new territories overseas in recent months, including new operations in Istanbul, Tripoli, Bahrain and Doha. This renewed investment in the London studio aims to reinforce the firm’s presence in the domestic market, in particular in the city of London, as well as continuing to win and deliver outstanding projects internationally. This is a really interesting development. Just like fellow maverick Peter Cook working with a larger international practice here we have artist and none-mainstream Will Alsop teaming up with a major worldwide studio. It is only a few weeks since we announced Will Alsop’s ‘retirement’, from former practice – Archial and previously SMC Alsop. RMJM is a UK-based international firm of architects with offices throughout the UK, Asia, the Middle East and the USA. Founded in 1956 by renowned British architects Robert Matthew and Stirrat Johnson-Marshall, today RMJM is one of the world’s largest architectural practices and employs around 1,000 people in 16 international offices in Abu Dhabi, Cambridge, Dubai, Edinburgh, Glasgow, Hong Kong, Istanbul, London, Moscow, New York, Philadelphia, Princeton, Shanghai, Singapore, St Petersburg and Washington D.C. RMJM’s expertise and design-led approach is successfully demonstrated in on-going projects in more than 20 countries spanning a wide range of key sectors, from corporate headquarters and waterfront residential developments to major public buildings, university campuses and large-scale regeneration programmes. The company currently has over £10 billion worth of construction projects on its drawing boards, including some of the world’s most high profile and ambitious projects. Internationally renowned architect, artist and lecturer Will Alsop approaches all his projects and ventures with the unwavering belief that individual and creative design can change and improve lives. Schooled at London’s Architectural Association, Alsop belongs to a generation of modern British architects who follow no single school of theory. His guiding principle is the notion that joy must be allowed to pervade every sector of his work. Following parallel research paths as an artist, product designer, film-maker and writer, Alsop’s architecture develops through an inseparable dialogue with sculpture, painting and drawing. He was a tutor of sculpture at Central St. Martins College of Art & Design, London, for several years and has held many other academic posts including his long-term post as Visiting Professor of Architecture (from 2002). Alsop actively promotes the artistic contribution to the built environment his paintings and sketches have been exhibited alongside his architectural projects in dedicated exhibitions at Sir John Soane’s Museum, Milton Keynes Gallery, Cube Gallery, Manchester and the British Pavilion at Venice Biennale. His works have been exhibited by the Canadian Centre for Architecture and the Royal College of Art along with many other prestigious institutions.